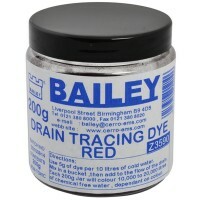 Bailey Drain Tracing Dye Red 3590 Features The dye is soluble in water and used to locate..
Rothenberger 6.7043 Smoke Pellets Features 6 x 13 gms grey standard smoke pellets. 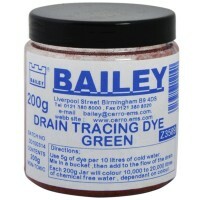 ..
Bailey Drain Tracing Dye Green 3589 Features The Dye is soluble in water and used to loca..
Bailey Drain Tracing Dye Blue 1992 Features Size 8oz. Colour blue. The Dye is..
Bailey Drain Tracing Dye Yellow 3591 Features The Dye is soluble in water and used to loc..
Monument 1471L Smoke Matches Features Smoke emitter matches give off a dense white low-to..
Bailey Drain Tracing Dye Purple 3592 Features The Dye is soluble in water and used to loc..
Monument 1470F Smoke Pellets Features 10 pellets per pack. 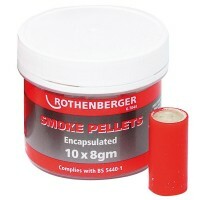 15 cubic metres of smoke..
Rothenberger 6.7044 Encapsulated Smoke Pellets Features Size 8 Gram. 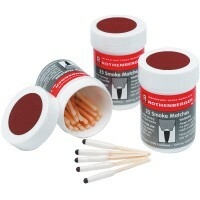 Smoke colour g..
Rothenberger 6.7006 Smoke Matches Features 1 x tub of 25 matches. 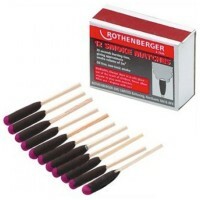 Longer, cooler bu..
Rothenberger 6.7046 Smoke Matches Features 12 matches per box. 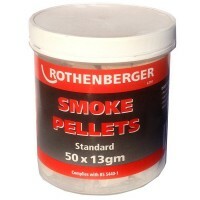 20 seconds burning t..
Rothenberger 6.7112 Smoke Testing Chimney Pellets Features 100 pellets per tub. Siz..
Rothenberger 6.7117 Smoke Testing Chimney Pellets Size 8 Gram. 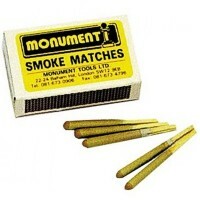 Smoke colour red. 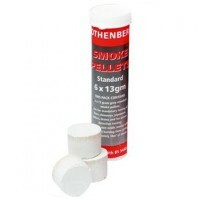 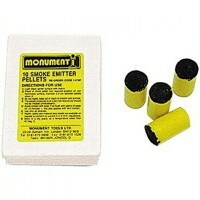 ..
Rothenberger 6.7111 Smoke Testing Chimney Pellets Features 50 pellets per tub. 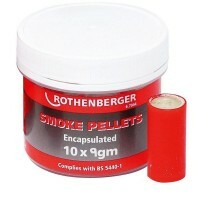 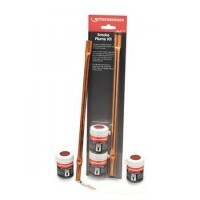 Size..
Rothenberger 6.7005 Smoke Plume Kit Features For directional smoke testing and spillage t..